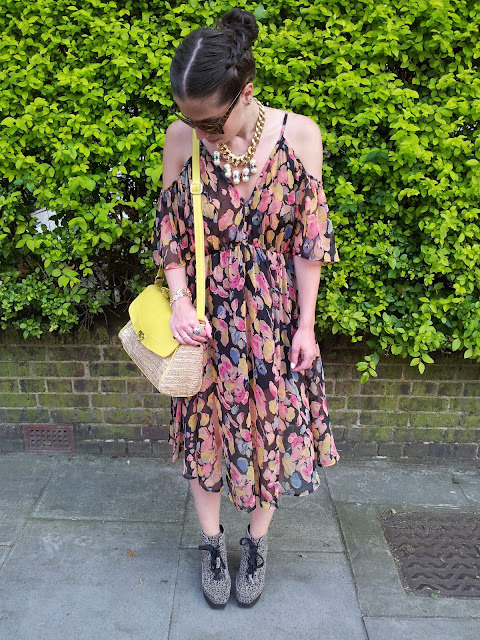 So I posted my outfit last week from when it was baking hot in London (remember that week, when it was 30 degrees and we kept moaning that it was too hot.... feels like a lifetime ago??) I had a few comments asking about my dress. Well, my favourite personal shopper at Topshop, Tessa, helped me find this for £15 in the sale. Kate Bosworth was also a huge fan of this dress back in June and as soon as the images floated about online of her wearing it teamed with her Isabel Marant booties, the dress sold out. For those who weren't fast enough to get the Topshop version, I have just come across a very similar style on Pop Couture for £30. My fave is the green dress, but the red version would look awesome on blondes.